Jodi Huisentruit has been missing for 21 years. As each anniversary comes and goes, we see more coverage of Jodi: her career, her personality and the circumstances surrounding her disappearance. Some years news coverage has been thoughtful, in depth and complete. Other years, the story gets but a mere mention. Thanks to the following media outlets for keeping Jodi in the news on this quiet anniversary. 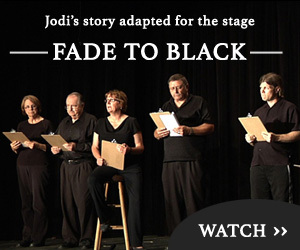 A special thanks to reporter Greg Loyd of WRBL-TV for being a longtime supporter of FindJodi.com and for making Jodi’s story a part of their newscast in Georgia. That’s the stark reaction of Mason City Police Chief Jeff Brinkley concerning the disappearance of KIMT morning anchor Jodi Huisentruit. June 27 will mark the 21st anniversary of the day Huisentruit, 27, failed to show up for work at the television station for her 6 a.m. news broadcast. Station management contacted police who headed to her residence at the Key Apartments. There, in the parking lot, officers found Huisentruit’s car, plus a pair of red high-heel shoes, a blow dryer, hair spray and earrings strewn about, as if there had been a struggle. Police believe she was abducted and have acted on thousands of tips they’ve received over the years, including one just last week. Brinkley, who began his duties as police chief earlier this year and had been an officer in Ames before that, was well aware of the Huisentruit case before he came to Mason City. “A lot of people think it’s a cold case, but it’s not. It is still an active investigation. We follow up on every tip we get and we always will. I would be interested to know if investigators have questioned the man who now admits to abducting and killing Jacob Wetterling. I’ve always wondered if Huisentrutt got to close to something with this case or the Johnny Gosch case and the abductor took her out.